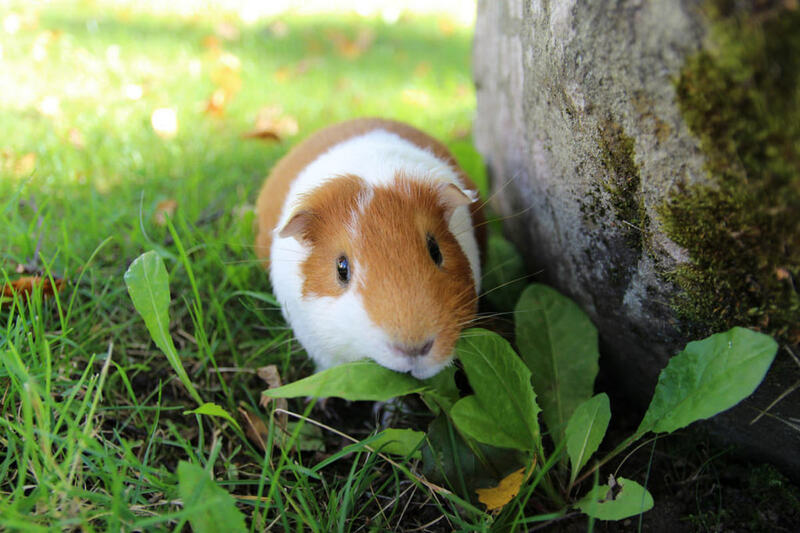 A guinea pig, or cavy, is a very fragile pet that requires more care than most people think. 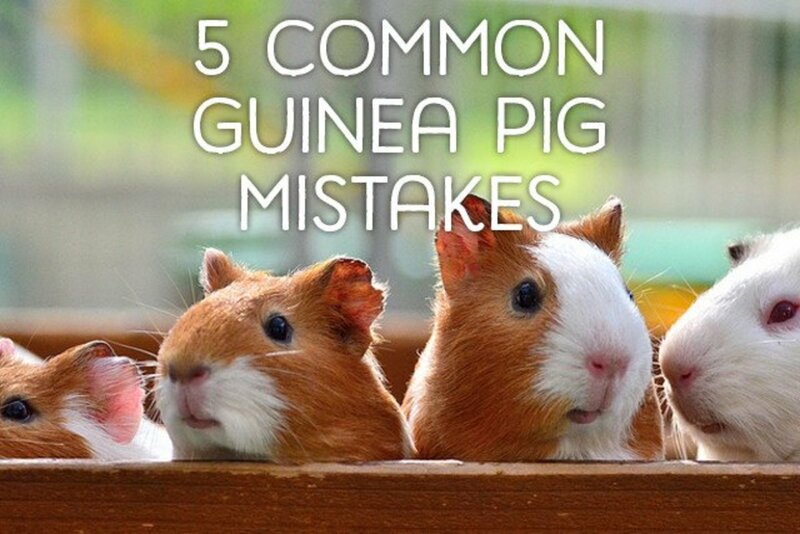 Many new guinea pig owners are guilty of some or all of these five common mistakes. Before you bring your little ball of fur home, do some research and use this article as a guide to make sure you are fully prepared. Although some of these misconceptions can seem harmless, they actually can lead to a less happy, even shortened, life for your pig. Unfortunately this is a huge mistake that happens far too often. You go into a pet store and see a piggy that makes your heart melt, and then see that it's crammed into a small aquarium with four other guinea pigs. Your initial thought is that if you buy this special pig, you'll be rescuing it, and therefore it's a good thing you chose to buy a guinea pig at a pet store. Really, the best thing you can do is to actively avoid supporting that pet store so that hopefully some day it won't exist and those animals won't be treated that way, especially when there are literally thousands of guinea pigs in shelters that need homes. I can't imagine how it would be if I had split these two up. Pellets: Dry food, or pellets, come in all different types, brands, and prices. Most of the pellets you will find in stores are ones that should be avoided. This article gives an in-depth discussion on what to look for, and what not to look for in guinea pig pellets. Popular brands used by guinea pig experts include Oxbow Cavy Cuisine (my favorite, which can be found cheaper online than it can in stores), and pellets sold by KMS Hayloft. Another added bonus to fleece? Your pigs will love it! Having a clean dry cage means you are free to make small pillows and beds for your pigs to lounge around on, without having to worry about them getting filthy in minutes. This was written in the best interest of the health and longevity of cavies. It is information every new owner needs to know, but unfortunately is not always taken seriously. I hope that with these tips and guidelines, you will be able to start off on the right foot with guinea pig care. Guinea pigs are precious little pets with unfortunately short life spans, but by giving them optimal care we can hopefully give them longer, happier lives. My home-bred guinea pig died for no reason. She was perfectly fine, with a big cage, another guinea pig, water, food, and all that stuff, but she died. 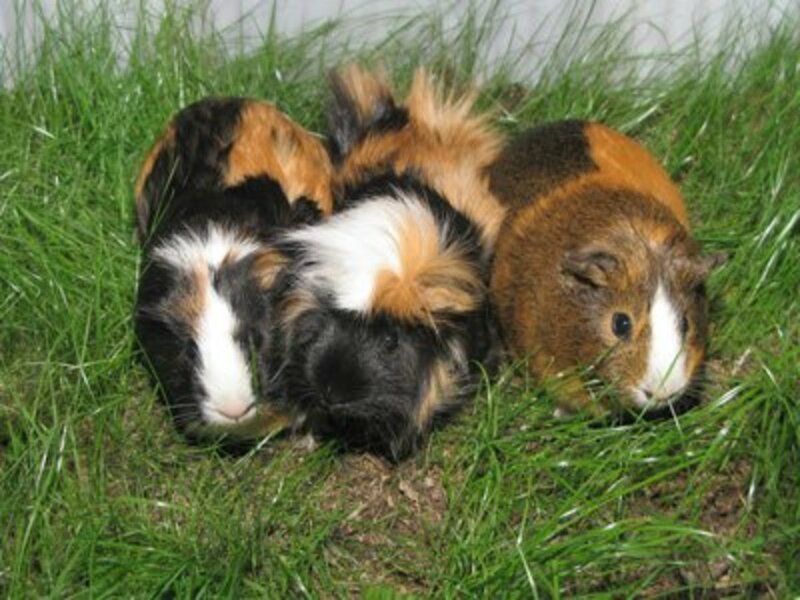 It happened three times to three guinea pigs. She was fine, and then I went to the bathroom, came back, and she was lying on her side, and after a minute, she was dead. Why? What did I do? Sometimes when pigs go, it's very sudden and seemingly for no reason. I would only question it if all three seemed too young to die that fast. My brother's' guinea pig is always hiding in its hideaway home. It never comes out, and when it does come out, which is very, very rare, it panics and goes crazy! Why does it do that, and why won't let us hold it? Guinea pigs are prey animals, it's in their nature to be scared of pretty much anything. My guinea pigs always run away when I try to take them out of their cage. Is that normal? Yes, guinea pigs are prey animals, and it's in their nature to be terrified of pretty much everything. We have two female guinea pigs. One is eight months old, and the other is six months old. We adopted another one that is a little over a month old. 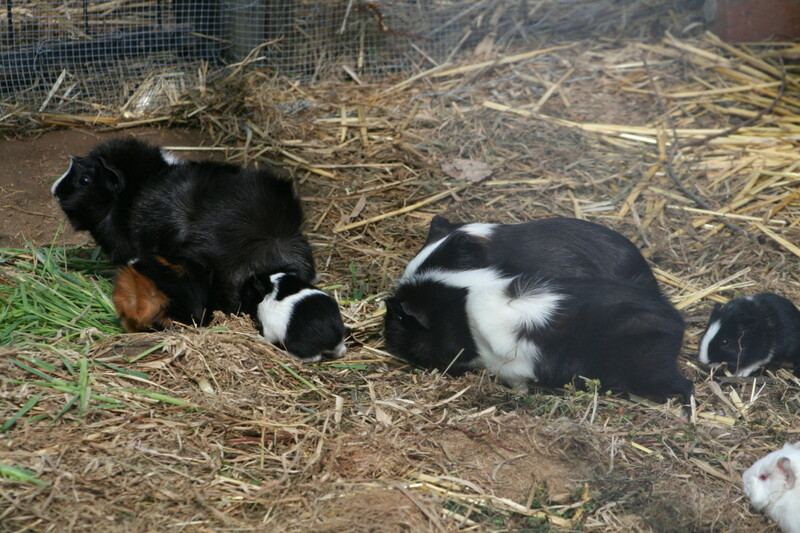 The older guinea pigs want to attack the baby. What do you think I should do? You need to research how to properly introduce a new guinea pig to a cage of established cage mates. I've never done it before, but I do know that you're not supposed to put them in the cage together. 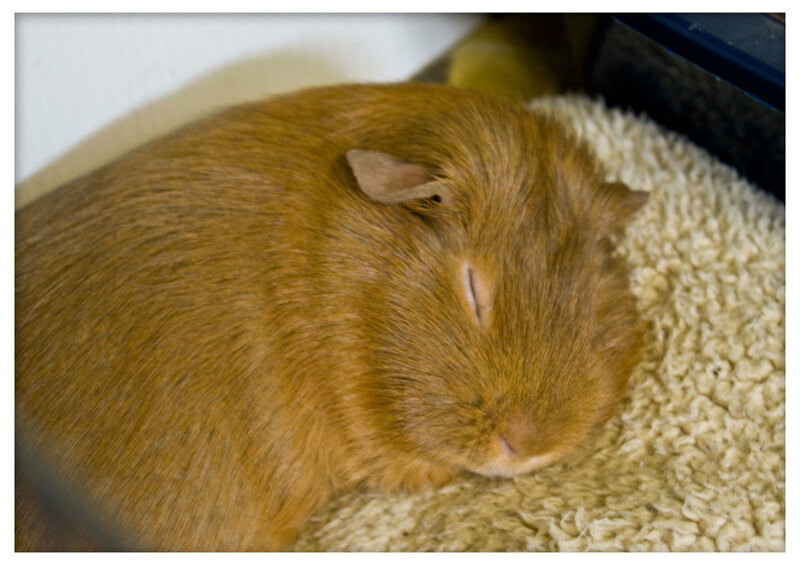 Do I replace the fleece for my guinea pig daily? How would one clean the poop? I have two piggies, and wow can they make a mess. I am willing to try anything. We replaced the fleece weekly, and swept poops daily with a hand broom and dust pan. Can you wash the fleece in the washing machine? Yes, just make sure you don't use fabric softener! It will prevent the fleece from being able to wick. They digest their food twice, it's actually normal for them to do that! What does it mean if my guinea pig is purring? I'm a new guinea pig owner, and she doses it all the time. Purring can mean a lot of different things, depending on how low or high pitched it is. Generally, a low, deep purr is a content piggy. We have a new guinea pig and she is usually very peaceful but tonight she has been "popcorning" all over her cage. Is this normal? "Popcorning" is a good thing! It means your guinea pig is happy. How do I put a blanket on my guinea pig's cage if they poop a lot? 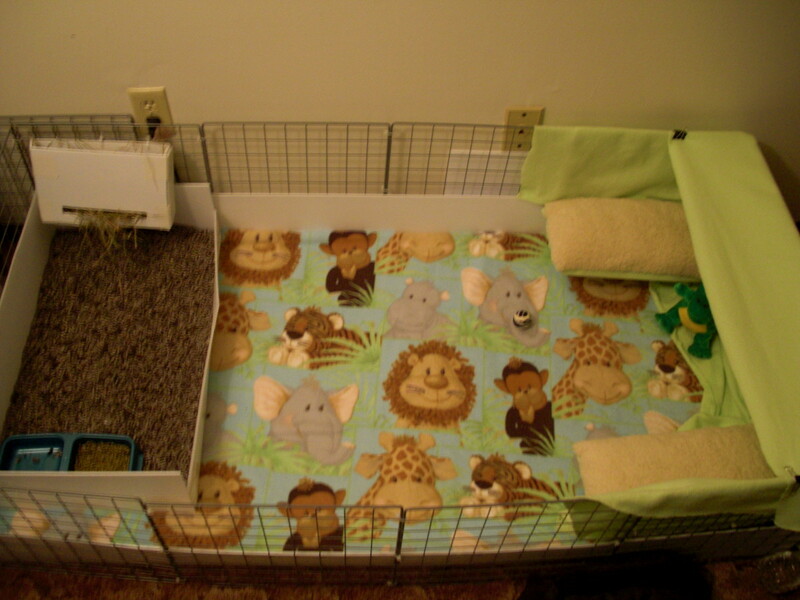 I have an article on Hubpages about using fleece in place of guinea pig bedding that you should visit. Using fleece for bedding requires regular sweeping of the cage, but it overall provides a cleaner environment for your pig to live in. is it good if a guinea pig licks you? Sure, I don't see any problems with that! I am looking to adopt 2-3 guinea pigs, but am completely new to piggies, so this information is very helpful. I have been leaning towards getting females because I've read males can require more room and be smellier, and females are said to be friendlier. Does this sound correct? I adopted two bonded males, worried that they'd be smellier and that I'd regret not choosing females. They were honestly just fine, and both were very friendly. I believe females don't mark their territory the way males do, but either gender will require regular cleaning to prevent them from getting smelly. Hope this helps; I wouldn't worry too much about it. Can guinea pigs have watermelon? Is it ok if I feed guinea pigs wet veggies and fruits? I'm new to the piggie life, and I was wondering if having my two piggies in separate cages is bad. Also, should I use a jumbo cage for my piggies? Pigs don’t like to live alone, but if they aren’t already a bonded pair, you will have to follow specific instructions to introduce them to share a cage. 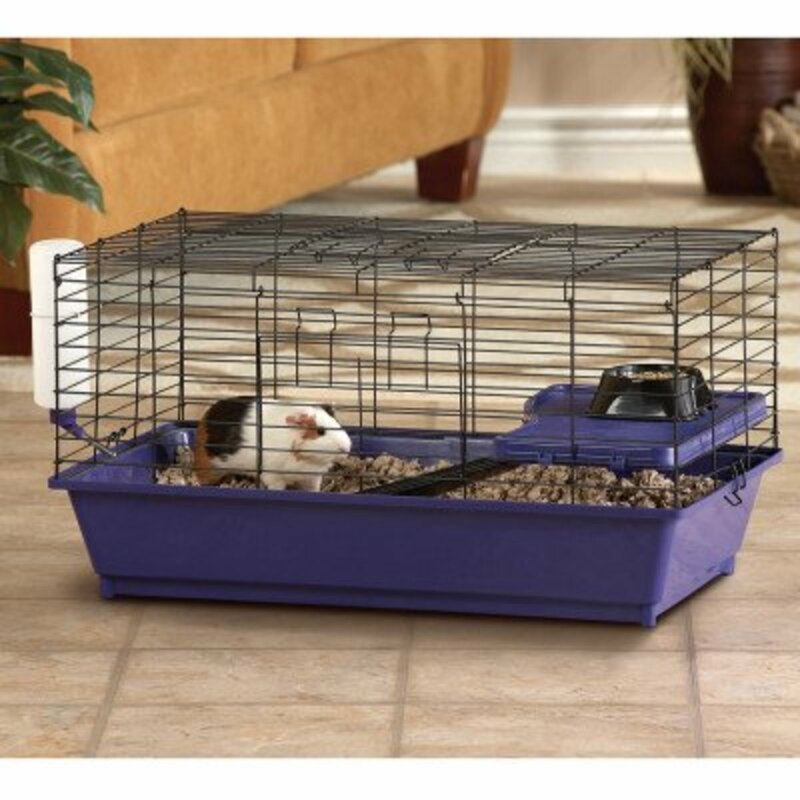 Generally, jumbo cages don’t provide enough space for what is required for guinea pigs. Google the needed square footage depending on how many pigs per cage you will have, as well as their genders. Then, see if the pen you are looking to use will be large enough. If not, I recommend a C&C cage. Would it be safe to use a plastic serving bowl with a door cutout as a DIY hidey-hole? Guinea pigs cannot live entirely off hay, and like humans, they cannot produce their own vitamin C. So, is it okay to give them vitamin C tablets? Some fruits can provide vitamin C, but I had a pig who was very picky with what he'd eat, and our vet recommended we give him vitamin C drops, not tablets, that were safe for small animals. I wouldn't do anything without checking with your vet first. Can I make my guinea pig a bed out of a pillow? Yes, I think you can make a bed out of a pillow for your guinea pig. Will my guinea pig die if I leave him with a person he doesn't know? If the person you leave him with takes proper care of him, he'll be fine. Guinea pigs are fearful of pretty much anyone because they are naturally prey animals. I have two happy boars. Should I get another so when the much older one dies, the other two will be friends already? That's up to you, really. Adding a third pig to the cage would mean needing a different cage size, for boars especially. Also, there are steps you have to take when introducing a pig to your family that you will have to research. Do you ever go to pet stores? Your article is total crap. I own and operate a pet shop and have bred pedigreed guinea pigs for 20 years and they always have a lot of room and great, top-notch care, so before you lump all box pet stores in with us independently-owned shops, why don’t you learn a few things and visit some stores before bashing them all! Gold stars for you operating a pet shop that takes proper care of small animals! I think you can agree that MOST pet stores do not operate as well as yours does, however. I will edit the article with that taken into consideration and mention that I'm mostly referring to big box stores. That being said, you criticized me for lumping all pet stores, but you've decided my entire article is crap based on just one of my points. Eye for an eye I suppose. Do guinea pig bites hurt? Don't guinea pigs chew on fabric? Surprisingly they don't. If you make sure to tuck the fleece under itself so that there aren't any loose pieces hanging around, they don't even realize they're walking around on fabric. I used to have draped fleece everywhere for tents and sleep spots, and my pigs never touched it. Do I need more than one guinea pig, or do I need doubles like two, four, six, eight, etc.? If you're asking if it's ok to have three rather than groups of pairs, yes that's fine. The size of the cage changes as you go up, so be sure to make it big enough! I got two guinea pigs from a breeder I know very well who’s guinea pigs lived outside, so my guinea pigs lived in a hutch with a run attached to it outside in my garden. One day, I noticed one of them was sleeping out of the bed area and in the main bit of the hutch and the other one was sleeping in the bed. They seemed to take it in turns every night. One day I came back from the shop with some veggies for them and found one of them dead in the hutch. The other was fine and there was no blood. Why did he die? And now my other piggy lives on his own. Will he be ok by himself? My baby guinea pig bit's when I hold her. Will this stop? I have a question not a comment. If I go back and get my guineas cage mate will they recognize each other? I adopted two females who were sisters. The previous owner had them in an insufficient store-bought cage. I purchased the Midwest Habitat and created an open partition so they could unite or retreat as desired. I placed the habitat in a quiet location and approached them sensitively. After a week, the sisters' quarreling had become intense with biting and bleeding, forcing separation, which didn't make sense to me since my research indicated being cage mates was preferable. I attempted gradual reunification, but the fighting persisted and I contacted a Rescue for advice. They suggested placing them with them to be paired with different mates. I just don't understand why they fought when they were raised together and then I brought them into a better environment with more space. This article is a waste of money spent on the writer.Just the beginning is so controversial and written at such a novice point of view. Not all pet stores mistreat or put them in harmful situations. Plus adopted guinea pigs are more common to bite and have emotional traumatic experiences from previous owners.Please don't waste reading on it gets worse,your welcome and don't write for like ever who ever wrote this article on 5 common mistakes we make as guinea pig owners. "Mic drop!" i got my guinea pig a few days a go and the lady told me that he cannot live with other piggies cause he got his litter mate got into a fight with him, and now he is tramatized and cant live with other piggies cause he is scared of other pigs. he is a very sweet piggy and when i hold him he gets excited and pop corns when i have him on my bed to play with him, he also likes to groom me, im very worried that he will be lonely when i go to school, or go to my cabin. should i see if he can live with other piggies or should he be a single piggy? A fairly good list, but the first one, while full of good intentions, is actually rather hurtful and incorrect. While adopting is always the best first option, let's point out a couple of the wrong assumptions there. 1. "17 year old pet store employee." Most pet stores that I know of won't hire anyone under the age of 18, sorry to burst your bubble. 2. "Your local rescue will also be able to answer any question under the sun regarding your newfound pet" with the assumption that you "17 year old pet store employee (lol)" won't be able to. As someone who has worked for a pet store for years now, I can say that, at least in our store (and yes, a major chain store), we receive hours upon hours of constant, never ending training over all aspects of the store. Add this together with knowledge gained from fellow coworkers, personal experienced, and even from some customers, and we can probably answer almost any question you have about any of our animals in the store. And if we can't, I guarantee we can probably grab an employee for you who can. 3. The misconception that if you go to a pet store, you're only able to buy animals. WRONG. I don't know about PetSmart or other pet stores, but Petco will take in relinquished or abandoned small animals, birds, reptiles, AND even fish, and adopt them out, showing and suggesting the animals for adoption first before people look into buying one of the other animals in the store. Sometimes, these animals aren't cared for properly by their owners either, and employees at the stores have to nurse the animals back to health themselves before they can adopt them out. As long as there is room and the proper means to care for them, they won't turn away a homeless animal. So, if you do find yourself shopping in a pet store, even just for goods or services, don't be afraid to track down an employee to ask for help or questions. Most also carry caresheets and other items to aid you! Plus, you can also find animals, reptiles, birds, and even fish for adoption at pet stores like Petco, too! Just ask. I bought a guinea from a pet store and a guinea from a rescue and the rescue pig had hordes of problems! Lice, respiratory problems... feeding problems. Maybe I'm biased but the rescue did not take good care of her... very sad. The other piggie is so healthy. So I have a pen o got from pet smart should I build my own? Why do i never see my two guinea pigs sleep? Rachel is really right the guinea pigs at some pet stores really do get treated right and have a good life and maybe you should not tell everyone not to get them from pet stores because that is false information you are giving. And you should be telling people not to get them before at least three weeks because they need there mothers milk. And six weeks is better. That one person who wrote she got hers at four days is really bad for the guinea pig. This is just my point of vew. 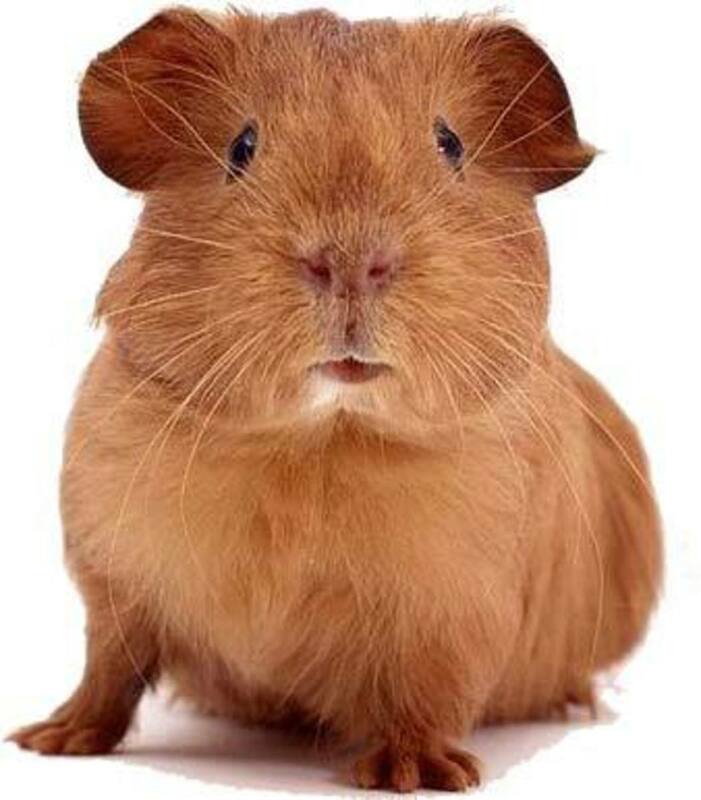 so i was eating cinniim toast crunch with my guinea p. and one fell of so one second later i heard a cruching soud , my guinea pig ate about 1/3 of a sugery cereal ,will he die becuase i know sugar is REALY bad for them please help ! I dont like fleece it ruined my washer besides in my case it was expensive my pigs had mites i kept thinking they were gone but nope. They got plenty of vitamins orange peppers almost daily. I use puppy pads the xxlarge they fit cage perfect with extra to go up wall about 2" i also cut one of the pads into 4 i put in corners where the1 pee poop most. Dont over feed calcium loaded foods. They love hand scissor plucked fresh grass/dandelions not too many highest calcium load is in them. Everything green has calcium so its good but its the extras like parsley dandlion..also carrot. Not too much urine turns then i lay off for a while. I give salt lick for a yr now. When they get a cold i give green beans and orange peppers daily until gone. If that lingers then doctor always get benebac culture buy at vet get critical care for emergency force feed and fresh daily water fill bottle to brim room temp no leaks. Wood chips..tissue goes in buthole it clogs very painful. Know difference between straw and hay. In order for digestion they eat hay after every veggie meal. Do not bathe they dont dry. Give ivermectin one drop for mites tactor stop sells it for cattle know what your getting. Guinealynx tells you approp or they lock you out. I have two female guniea pigs. Minnie and ruby are from the same liter.4days old just got them today sooooooo cute! It's getting colder out, winter is coming soon. This is my first winter with my guinea pigs. Should I get them a little cuddle cup bed? Is that beneficial or a waste of money? Also, should I get a carrier? Are those beneficial to have too? So i have one guinea pig and he has no other guinea to play with can that kill him if he feels lonely or stressed out with no other animal in his cage to play with?? Thank you, when i read number 2 to my mom she might let me get another Guinea pig for my Guinea pig to play with. The first one is dumb. Every guinea pig needs a home, and someone to love them. And maybe supporting them will HELP, because maybe they cannot afford huge cages for their animals.If you give them money, maybe they could buy bigger cages. Yes, it is good to support a rescue, but it is also good to support a pet store.They probably WANT to get money to help animals. My local pet store is PetSmart, and they know a lot about animals and sponsor and run many charities to help less fourtunate animals. I agree with the rest of this though. Great guide. My niece wants to have a guinea pig pet. Guess it is the best to build our own cage. Hoping someone has a suggestion. I have an adult guinea pig and one that is very young. How do I meet both of their nutritional needs ie calcium. HELP! You also should add in that your pet food shouldn’t have timothy hay as the number one ingredient after a certain age. 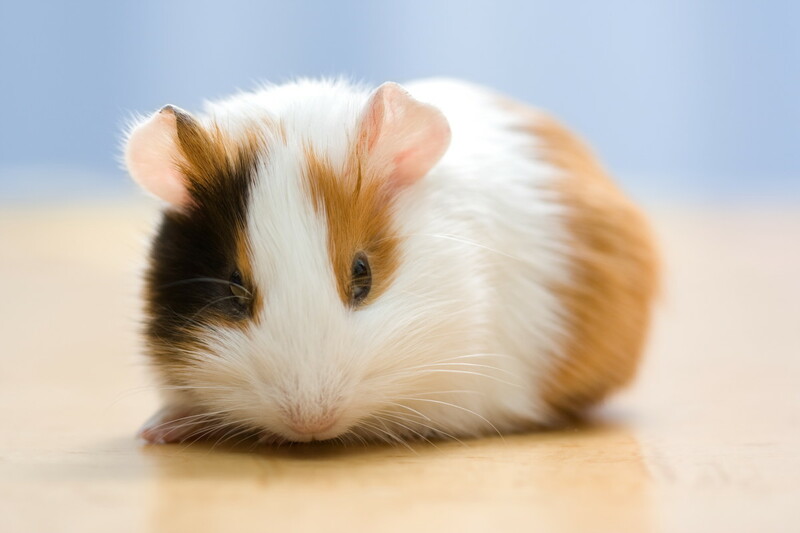 Hey my guinea pig died and i´m getting another one on June 1,2018 and i need some tips before i get it so i wont have to worry about anything PLEASE!!!!!!! 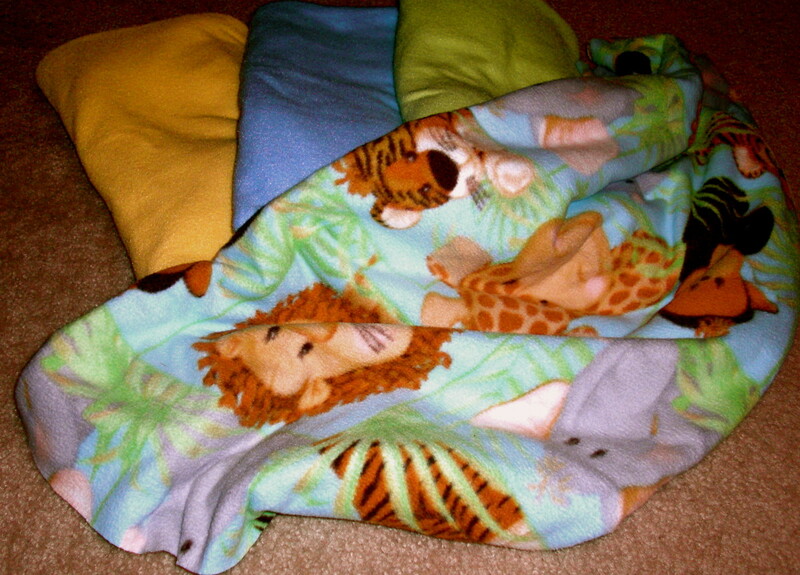 Fleece fabric can be purchased by the yard at any Walmart store or craft store if you plan to make the bedding yourself. Etsy and EBay offer custom sewn fleece bedding to the size of your cage if you prefer to order and have it shipped to you. I am looking for fleece bedding for my guinea pig. She has a playpen and a larger size cage. I have looked in my local stores and come up with nothing. I do not know how to search on Amazon. Can anyone help me please?! @Jenn - I just had my male guinea pig neutered earlier this year and now he's happily living with 7 females. Just make sure you find a guinea pig savvy vet who has done neuters before and read up on the subject so you know what to expect. You still shouldn't put them together until at least 4 weeks after the neuter. People say boars fight but they definitely prefer company. If I were you I would find a young male and introduce them in neutral territory where they can both hide if necessary. I think it would be unlikely they would fight badly, especially with no females around, and would become good friends in no time. I had no problems introducing a new young boar to my male and then another young boar later. Just make sure they have space. My guinea pig got out and it hates me now And there's is evidence of hair from it on my bookshelf. Help! Hi everyone! I recently took a male piggie from my niece because she was not taking care of him properly. I have 3 syrian hamsters which I know a lot about, guinea pigs not so much. My niece got him from petsmart in November as a baby and did not pair him. He was in a 40 gallon aquarium by himself. I know have him in a huge c&c cage with fleece and have done extension research. There however is one thing I am getting mixed answers on whether to pair or not. Some say yes cause they are social and need a friend, and then some say that he's been by himself too long. I have been able to tame him and give him lots of attention but if he needs a friend I want to get him one. I want him to have a better life. Guinea pig Hattie, don't worry, it's never to late to get a new guinea pig. Just be careful which one you get because although they always do want to be with another guinea pig, they can be fussy about which one they live with. I suggest you check out You tube little adventures- how to properly select a new guinea pig. petri - I just bought a rescue from Atlas Pet Supply in Elk River. She is super healthy and a sweet little thing. Looking for a cage mate for her! Is it ok to buy from a pet store such as atlas pet supply (MN)? They take great care of their animals and it seems to be a good store. I believe they rescue or take "hand ins". It's not too late to get two guinea pigs yet, is it? My guinea pig is about 6 months old. Also, my guinea pig chews everything! She also is very messy. Do you think she would chew the pillow or do bathroom business on it? Also, we have a fleece liner for the cage. Is that okay? Please respond! omgeezles that's soooooo cool! Thank you sooooo much! i'm so happy because if i get straight C grades, i can get a hedgie! i'll name her pretty pickles! Wow! this is so exciting! BEST DAY EVAAAA #livingthehedgielife! I bet that it would be so supes pretty. ok bye hedgie lovers! Peace out girlscout! love, Rosie Bertha Counts. Thanks for all the advice! It really helped! Jessica Morroto, this will sound crazy but put 1/4 tsp of Tang powdered drink in his water bottle. I had a baby and she wouldnt walk, vet told me to do that bc she lacked vitamin C. May require more depending on size. Oreo has dominance,and is constantly going on my other pigs (smores) back!smores is at the hospital getting his treatment for his respatory infection.now oreo is on his own,and is happy. Is it just bad from human perspective? or is it possible that some guinea pigs enjoy being on their own? I'm so mixed up. Can you help me? 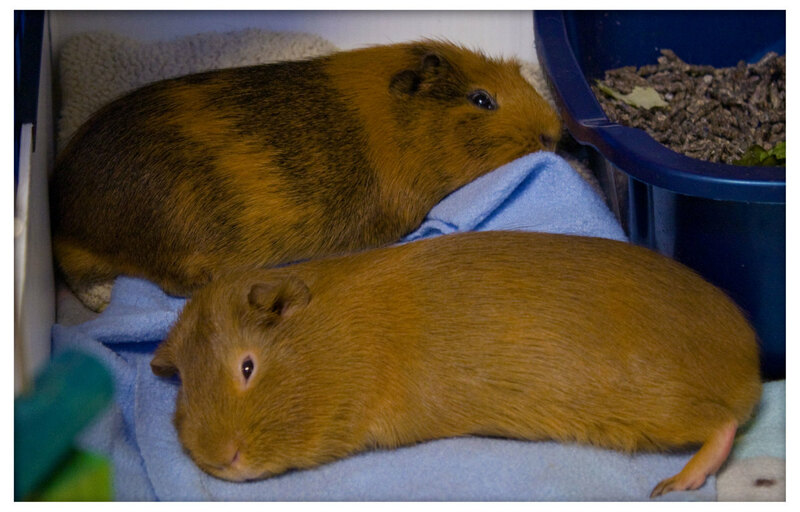 My guinea pigs are pregnant is there anything I should worry about? This is pretty cool! But what do I do about my guinea pig cage it' s technekly a bad cage. PetHelpFul my guinea pug was bought from PetSmart and i got my cage from my frined who had guinea pigs also. Yes I washed it out good and my guinea pig has dry stuff around it's eye, I have 2 guinea's the other is fine. My guinepig was bought from Petco. Is that a good store? I only have one piggy now and can't afford another one, how do I comfort him without getting a new one? I can't stand the people that don't agree with this. It means they are VERY cruel to animals. I must explain why everything is true and why people need to agree with this and be more nice to animals. Many people say it's fine to get them from a pet store because not all pet stores are bad. This may be true and it definitely is better to get one from a good pet store than a bad one but it's still best to get them from a rescue because it can be hard to tell when a pet store is or is not bad and even if it's not bad it's still best to support the rescue because if you don't support a pet store, they will let the pets have a nicer, happier life but if you don't support a rescue the pets will never get rescued and die. A lot of people say when there guinea pig gets to go in their teeny cage they are happy and would want to be there more than any other place but that's only because they're not used to the other places and don't know what to do. If you did give your guinea pigs a bigger gave and gave them time to get used to it, trust me, you'll be surprised. they'll be exploring the whole thing and and will really enjoy them selves! I sometimes don't close my cage properly on accident and my guinea pigs get out asap because they love to have more space! (even though my cage is already bigger than it needs to be!) And if your guinea pigs learnt to adjust to different places like that, I'm sure they would do the same thing! Thanks for reading! I don't really have anything to add on to the last two things but hopefully you can still learn to agree with them! Hope this changed your idea about how guinea pigs should be treated! If not, please tell me and I will explain more. bye for now! PS. If you were wondering what my sources are I would like to tell you I have many sources. 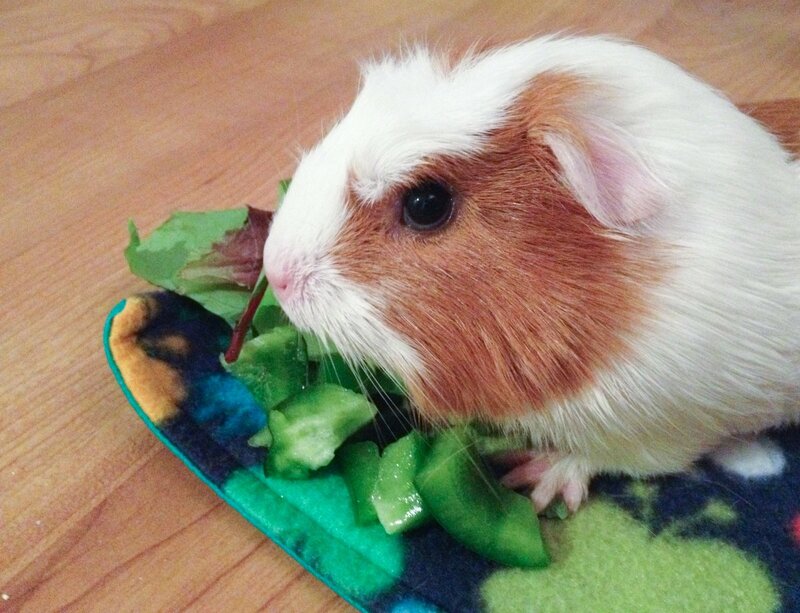 My friends, the YouTube channel about guinea pigs called little adventures other pet helpful articles and just lots of experience from my own guinea pigs. So you should definitely believe what I say! I did look into a rescue as I come from a family who supports rescue animals. The application was more lengthy than any dog or cat adoption process I've encountered. I would need to drive about 50 miles from Virginia to Maryland in order to go to their specific 'adoption event' on their specific time and day (which is hosted every 4-6 weeks), even if the guinea pig's foster home is located near me! Besides that, I was told I would have to 'be patient' and 'wait a few weeks' for the adoption process because they are all volunteers. With work and kid schedules, when would I have time to drive that far away to maybe find a guinea pig to take home? Maybe the guinea pig looks nice in the picture but the personality is not compatible. Anyway, the large guinea pig rescue in VA and MD means well but they shoot themselves in the foot by wanting so much. In the end I bought a mom and baby from the nearby pet store. I was told the baby was likely pregnant (she was) and readily took her to the vet. I'll still seek out rescue animals but let this be a lesson to rescue places. If you want the result to be that an acceptable someone adopts your rescues, be available and ready to do so! Such a large number of awesome focuses! I generally attempt to surpass my customers desires as it has such huge numbers of advantages. It fulfills my customers, it enables me to do awesome things and it is incredible for business. We live in San Jose, CA. We have 4 fancy guinees (3 females and 1 neutered male). Our children are now teenagers and do not have time to care for them, so the burden falls on us as parents. We are looking for a new home for them. The gardener said he would take and eat them...(oh dear..He is from a different country...). Now looking for an elementary school teachers who wants loving pets to encourage learning, or seniors who want something warm and sweet for company. Must live close to San Jose in CA. Adoption comes with large cage, food, and supplies. Kiln dried pine is actually fine for small animals. The process of high temperature kiln drying removes the harmful phenols (the chemicals that cause the strong smell and make it unsafe for critters with sensitive reapiratory systems). There's an easy way to tell if pine is kiln dried or not.......if it smells like a pine tree air freshener (raw pine has a ridiculously strong smell), it's not safe. If it just has a pleasant, light woody smell, it doesn't contain those awful phenols. Excellent points in this article, Jessie! I hope that it leads to many more guinea pigs getting the homes and care that they deserve! I'm not a guinea pig owner myself but I've been looking into keeping rats again. It is *so* tempting to buy from a pet store under the notion that you're "rescuing" a pet from certain death. It doesn't work out that way a lot of the time because among other things, these pets often aren't healthy. My ideal right now would be to adopt my rats from a lab rescue. We bought our piggies from a pet store and until last month they were sharing a cage while my dad built them an amazing home! In the cage they used the paper bedding but with their new home I knew I wanted to switch them to fleece. The fleece is absolutely hands down the best thing I ever done. Don’t worry about your piggies chewing on the bedding because they will probably test it the very first day. It’s more as a curiosity thing than anything else but after they get used to it they stop. I only noticed it the very first day! It’s much easier to clean and hardly no work keeping it clean. The no-pill fleece is what I use so it doesn’t have shedding when washed. My piggies love red pepper! I adopted a single male 6.5 year old piggie from a petshop that had an adoption day with a shelter. Pleasant little easy going guy about bedding and such. If anyone is curious as to why pine bedding has a bad rep, it has some sort of oil that can cause respiratory distress if not kiln dried. So if you get pine bedding please read the packaging and look for "kiln dried". I greatly appreciate all of this helpful information. We area adopting 2 females tonight that the owner no longer wishes to take care of. I am going to follow all of this advice. Thank you! I am giving my guinea pigs timothy hay is that good for her?? I agree with giving them a partner or pal because I have 2 of them and they are best friends forever.They can never stay apart and its the cutest thing EVER! Also i heard that guinea pigs live up to 10 years. On musically i saw this person abusing this poor adorable hamster.She is shoving the hamsters head in the floor.Holding it the wrong way,and squeezeing him super hard! in the profile picture I even saw the poor thing crying!! What should I do to save him??! My boy has no mate but I play with him every day for over three hours and he has a huge cage. Is it ok for him to have me for hours instead of a mate? is it ok that i have two guinea pigs but they're not in the same cage? Thanks for your advice. I am trying to convince my mom and dad to get me one for christmas and I was wondering how big is their poop? I am concerned that the guineas could nibble and swallow pieces of fleece, surely this would be very harmful as I believe it is made from plastic micro fibres? Really reluctant to change them onto this - please advise. Nice and helpful post. Thankyou! I have a few questions about the foods they should eat. You said they should eat lots of fruits every day but I thought they couldn't have much sugar and there's no way they can have just a small amount of sugar when they eat so many fruits! My friend once said that her vet told her that all pellets were bad for guinea pigs but now that I've read this, I think either she or her vet got confused and thought it was all types instead of most. Does that sound correct? Please answer my questions so I know what foods to give my guinea pigs! My guinea pig , Elliot, loves shiny things. He's always after my necklace or rings (when their on me!) Can anyone tell my why? There is no information on the web.. This is very helpful so now i know what not to do if i get a guinea pig!! I need a c&c cage but my parents probably won't agree. Help! Everyone should have at least two guinea pigs. they will always be happier with a companion. Even if they don't seem to get along there is always a way for them to get along with at least some guinea pigs. And although they might fight occasionally that doesn't mean there not friends. Hassan please email me, I have a guinea pig and chinchilla that I rescued from being released into the country cause no one wanted them. Both boys, I know they are getting up in years so they are seniors. I need to know what to feed in the way of fruit and veggies. Building a new home right now for them. A huge one so they can live out their last days in a proper environment. Ive read so much facts of how to take care of a guinea pig and now I learnt how Im the best at it. So if any needs help Im here to do it. Thanks! Glad I read this before I got Guinea pigs. I was just gonna get one, but then I read this article and I thought twice about it. Also, I had picked out a cage that looked good, but then I figured out it was to small after reading this, so, thanks again! Sorry, but this drives me insane. NEWFLASH: not all pet stores abuse the pets!! I have a piggy name Zac who I bought from a pet store, and at first he was really timid and hid in a box all the time. When he came out and I picked him up I noticed he smelt really bad, like not just poo-smell, like really bad. Then I noticed the sore on his side. He had been bitten by another guinea pig (which was NOT the pet shops fault in ANY WAY, it happened the day we bought him and they just missed it at the time) and it had gotten infected. We called the pet shop and they told us to bring him back and the would have a look. They then waited after closing time for us and looked after him for 3 weeks until he was fully healed- which included antibiotics, food, water, everything- at no cost to us and now he is much more friendly and loves snuggles. So before you stereotype pet shops as horrible, inhumane places, get your facts straight.